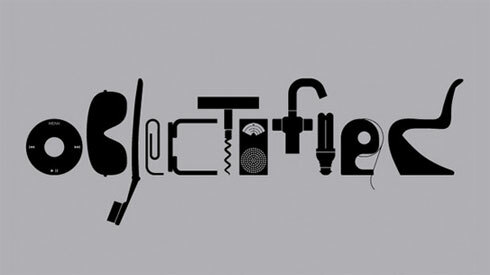 Gary Hustwit’s latest film, Objectified, is being premiered in Providence tonight. His last film, Helvetica, did wonders for typography. We are lucky enough to have convinced Gary to make the trip up from NYC for tonights premiere. It will be interesting to discuss his views on consumer culture, the complicated relationships of our manufactured world and how design could help improve the whole mess. There are a limited amount of tickets still available. Order tickets HERE. Join us for a great party after the film being thrown by CONCENTRIC. CONCENTRIC started with an idea that good things happen when different industries get to know one another. Providence, and Rhode Island as a whole, has a unique ecosystem of creative, tech-related, and innovative organizations. CONCENTRIC, using simple events, has tried to connect these local groups. Its been a great success, and we are just beginning to look at how we can develop new tools for this integrated & local approach to economic development. Stay tuned. A big thanks to the IDSA and Hasbro for making the showing of Objectified possible. Let me know how you enjoyed the film? This entry was posted in Design and tagged Concentric, Documentary, Film, Gary Hustwit, IDSA, Industrial Design, Providence, Rhode Island on October 6, 2009 by Russell. I am looking forward to giving my 400 second talk this wednesday night at Pecha Kucha Night. Big thanks to Local 121 for hosting the event. The talk I am giving is on how we should begin to rethink the design of our built and natural environment. Should be fun. This entry was posted in Practice and tagged Design, Pecha Kucha Night, Presentation, Providence, Rhode Island on March 10, 2009 by Russell. Thanks to Jack Templin & Andy Cutler, I had the pleasure of speaking with Abby Goodnough & Katie Zezima while they were writing this article for the New York Times. When thinking about the massive unemployment & economic strife in the State I am drawn to the quote “he loves the state’s beauty and its quirkiness”. How can we leaverage Rhode Islands’ under appreciated assets? Size? Geography? Tradition? Beauty is certainly one of them. The Creative Class is drawn to beautiful places with layers of local flavor or “quirkiness”. Why would talented college students, such as those from RISD or Brown, want to stay in Providence after graduation? What would attract talent from other regions? What helps Providence compete with other cities on the Northeast? Perhaps investing in projects that enhance the civic beauty of the states’ built and natural environment will aid in retaining and attracting talent. My friend’s over at The Biggest Little feel its worth the move to Providence. This entry was posted in Life and tagged City Assets, Creative Class, Economy, Economy of Cities, Friends, NYTimes, Press, Providence, Recession, Rhode Island on March 1, 2009 by Russell. This past weekend I was part of the… expert… team that relocated American Dreams by Gillian Christy from the Arsenal Center for the Arts to South County, Rhode Island. It was amazing seeing this sculpture move from a urban to forest setting in a matter of hours. Luke Randall was kind enough to give this sculpture a home for several months before it makes a move again to Boone, NC for Gillian’s upcoming show starting May 1st. This entry was posted in Art and tagged Art, Boston, Gillian Christy, Public Art, Rhode Island, Sculpture on November 3, 2008 by Russell.